The company offers a month-long free trial. The Pro plan lets you track multiple vendors, add photographs, track employee hours and their commissions, customize the price tags and receipts, establish a rewards program, create and manage promotional pricing and layaways, as well as ship and track packages. 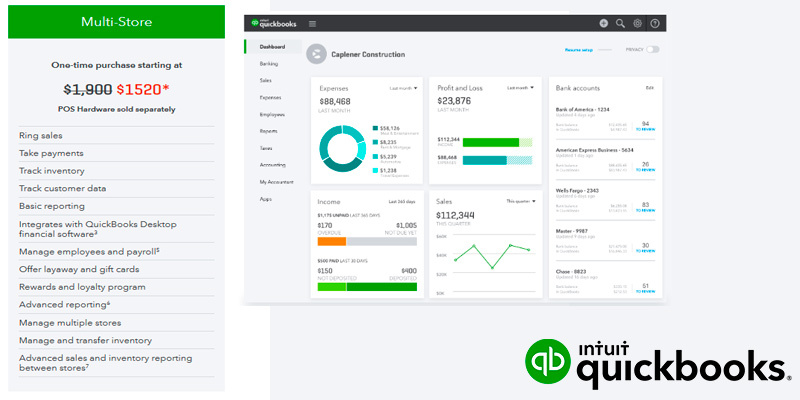 If you are already acquainted with the company's ecosystem of financial packages, Intuit QuickBooks might very well prove the best point-of-sale system for you. Plus, since the software is optimized for Microsoft's Surface Pro 4, it is definitely one of the best choices for people who prefer Android over iOS. The app allows you to create different customer groups. The system can be used in an offline mode. The developers can use the e-commerce API to integrate the former as a checkout solution for online transactions. The company places all of their merchant customers under their own account. Doesn't incorporate modules for inventory management. Square point-of-sale system is one of the most flexible, versatile, and universally suitable application on the market today. Though it caters to all micro- and high-volume businesses, the company's software is perfect for smaller ones, like coffee shops, farmers' markets, and mobile stores. The Capital feature will advance cash to the merchants that need it, based on the products or services they sell, their projected revenue, the number of employees, and so on. When you add a new item to the inventory, you're also able to add items with different variants (color, size, etc). Plus, it doesn't limit the number of items you can add to the system. Doesn't offer a free trial period. 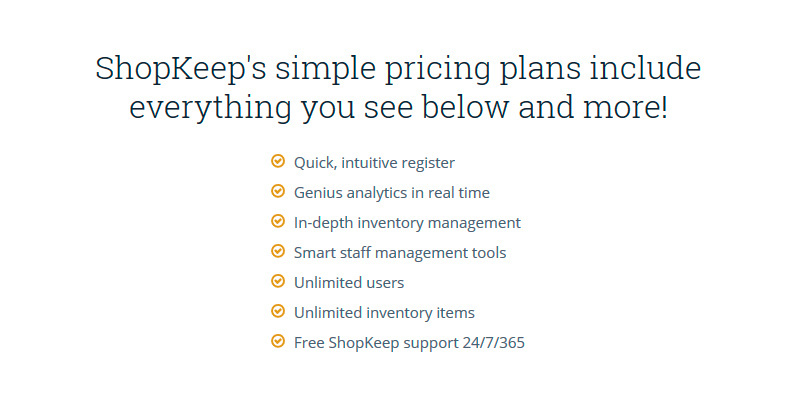 Shopkeeper is a POS platform that puts you in charge of the whole operation. You're able to choose the features you want. You don't have to overpay for the ones you don't need. It has every necessary function in the book and a couple of tools and resources that you won't be able to find anywhere else. The Inventory Management tools feature an automated inventory tracking function that works on an ingredient level and low-stock alerts, so you'll never unknowingly run out of supplies. The Customer Management section will let you create different accounts for your frequent customers and catering clients. 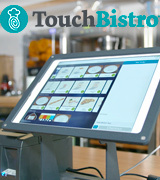 TouchBistro is one of the best POS systems for all types of food establishments. Its table and bar management tools are excellent. The intuitive interface makes it really easy to modify and customize orders. You can set up an automatic discount system for events. It will allow your employees to split any bill in a matter of seconds. 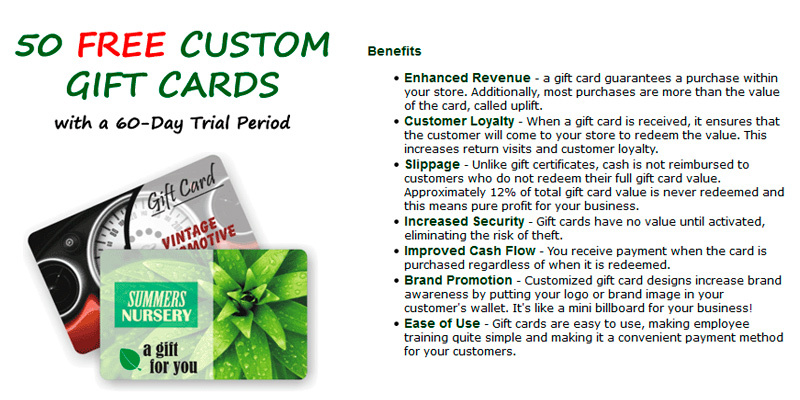 The point-of-sale system will let you make designed gift cards, as well as accessories such as envelopes, displays, and decals to go with those cards. You'll be able to take payments over the phone. The system includes a table layout feature. 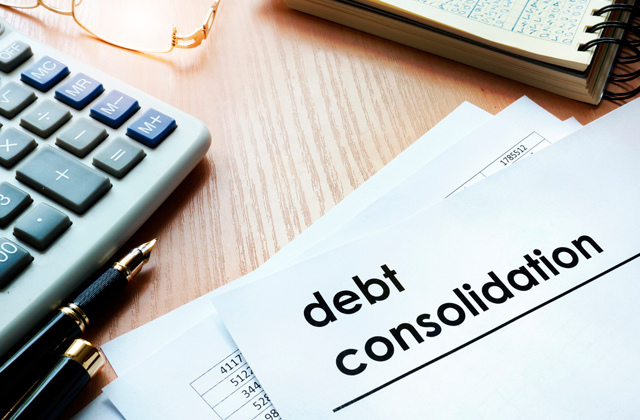 The company offers cash advances and can front your business up to $600,000. The extra fees add up and it can be difficult to cancel their services. With Gotmerchant, you should be able to make your business run more efficiently than ever, doesn't matter the type of products you sell or the services that you offer. The company's POS system gives you the necessary functionality. Plus, they offer solid hardware to go with the software. "Intuitive" is starting to become a little bit of a buzzword in the software scene, a meaningless term that doesn't carry the same weight it once was. We would really like to refrain from it as much as possible when describing any piece of software but, with a name like Intuit, the company's clearly making an obvious claim, so we're practically forced to start there. 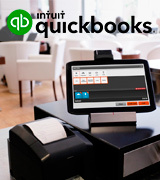 Now, is Intuit QuickBooks Point of Sale System intuitive? Well, it is definitely more intuitive than any piece of point-of-sale software we've come across. But first, let's pivot a little. The people who are setting up their own shop for the first time may be unfamiliar with the name. 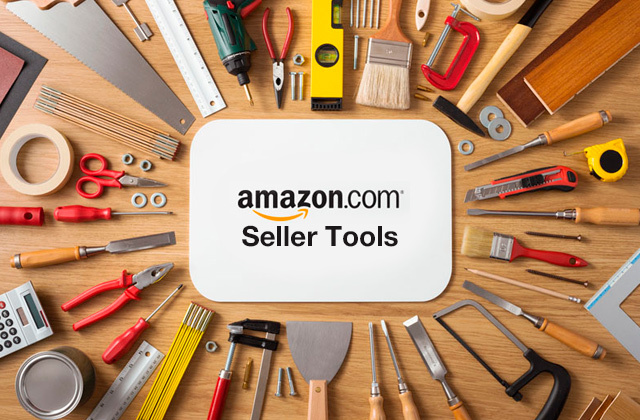 Very well-known to experienced sellers, the company's set of applications is one of the biggest lines of financial software on the market today, especially for individuals and small businesses. Needless to say, nobody's surprised when the company introduced a point-of-sale system too. 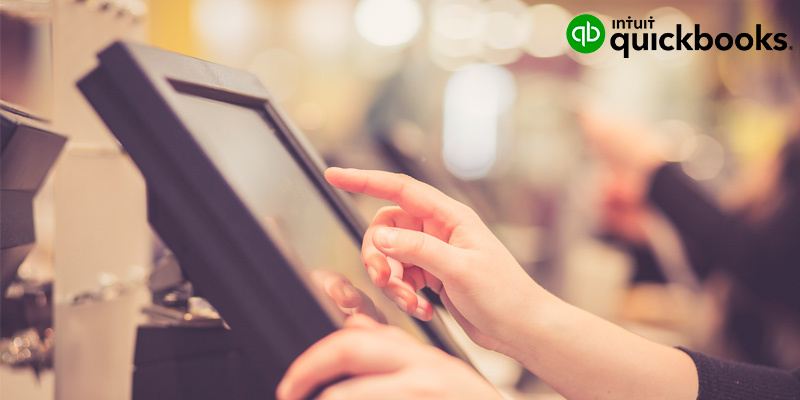 And though the particular piece of software is relatively new, QuickBooks' experience in the financial sector has allowed them to create one of the most convenient POS systems available today. 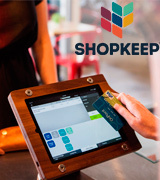 There are a few things that make the company's POS software more convenient than its peers. 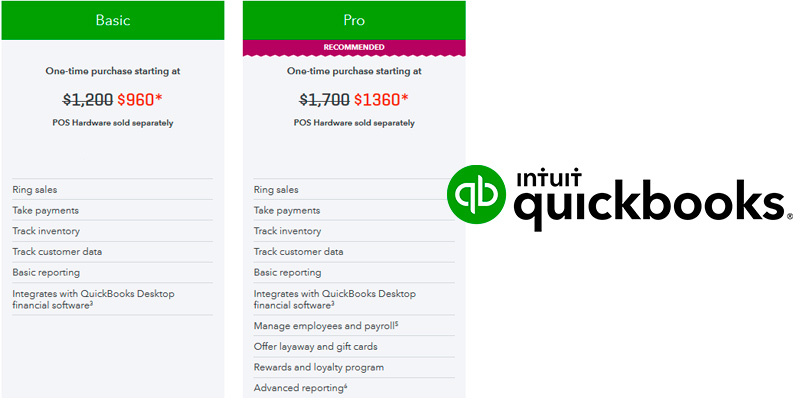 Well, actually, Intuit QuickBooks gets more convenient even before you get to the software part. Where most companies charge a monthly fee, with Intuit QuickBooks, you simple acquire their software and following updates, once and for all. The price differs depending on the plan, so let's briefly cover those. The Basic plan is a thing of beauty. For a one-time $1200 payment, you'll be able to synchronize with the company's accounting software, process credit cards (the actual transaction fees are separate), create reports, track inventory, ring up sales via a Microsoft Surface Pro 4 (the device, of course, is not included in the package), manage employee access, utilize a discount system, offer returns, store credit as well as gift receipts, and, needless to say, track cash. As you can imagine, that's not a bad deal at all. Add another 500 bucks to that transaction and you get their Pro plan. In addition to everything listed above, the plan lets you track multiple vendors, add photographs, track employee hours and their commissions, customize the price tags and receipts, establish a rewards program, create and manage promotional pricing and layaways, not to mention ship and track packages. Now, the last plan, called the Multi-Store plan, starts at $1,900. As you'd imagine, it will prove useful for people who own multiple stores. On top of every other function from the previous plans, Multi-Store includes functions that will allow you to analyze data by store location and create a number of reports. Though the company is mostly in the software business, not dissimilar to most POS systems, they also offer you a bunch of hardware devices, like a PIN pad for credit cards (around $350), a barcode scanner, or a receipt printer (both go for ~200 bucks separately). We did begin this review by mentioning the intuitive interface of the software in question, so let's finally get to it. The cornerstone of their program is the center Navigator section. It lays out icons that control all of the program's functions and is divided into 3 sections: Point of Sale, Purchasing, and Employees. Between the icons, the program runs arrows that show the user the natural progression of any sale or function. The drop-down menus at the top and the "I Want to" button give you immediate access to all sorts of features. All in all, without describing every single page and function, the interface is about as straightforward and user-friendly as it gets. In closing, the point-of-sale system in question is optimized for Microsoft's Surface Pro 4, which is an interesting change of pace given that most competitors usually stick with the iPad. 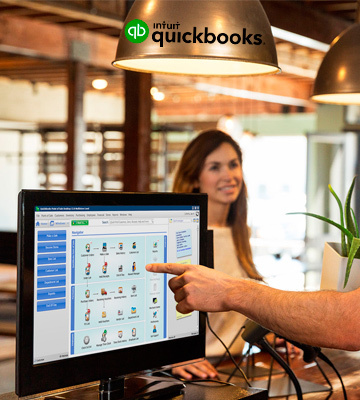 If you are already acquainted with the company's ecosystem of financial packages, Intuit QuickBooks might very well prove the best point-of-sale system for you. 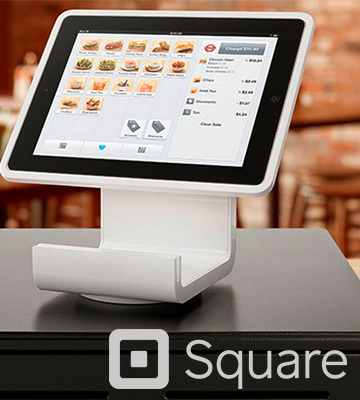 Square is one of the biggest and most recognizable names in the business. There are quite a few reasons the company's been able to build a reputation like that and a considerable customer base. 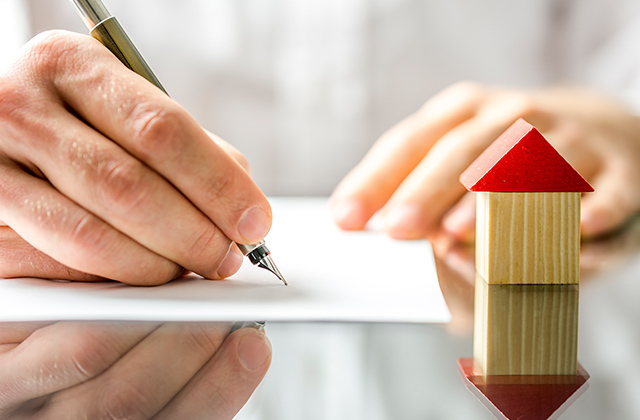 First and foremost, we believe that their policy of always putting the customer first and trying to adhere to all of their needs had a lot to do with it. One of the biggest testaments to that is the fact that the company places all of their merchant customers under their very own account when most of their competitors give businesses a merchant account. Their pricing structure that is both layered and simple deserves some recognition as well. 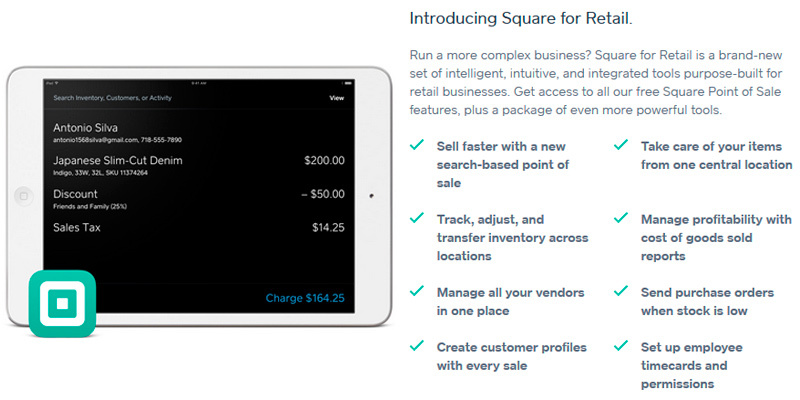 All in all, Square is almost equally suitable for micro- and high-volume businesses. But let's start with the costs. After all, what most customers like about the company are their transparent, flat fees. 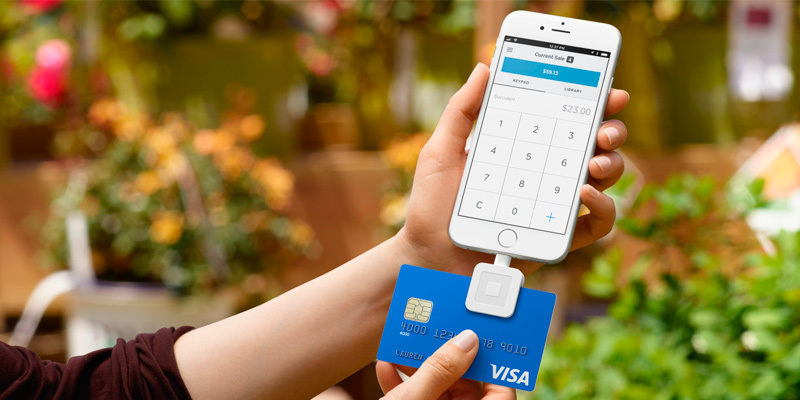 All of their retail and mobile clients receive a complimentary Square Chip Card Reader for swiping cards, though you will have to pay extra 50 bucks for a reader that also takes chipped and contactless cards. 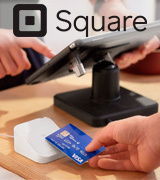 You can also separately purchase a Square Stand that's compatible with iPads and, for $999 plus 2.5% and 10 cents per every transaction, the company distributes Square Register, an option that includes the aforementioned stand, a screen, and a customer-facing display that implements card swipes, taps, and dips. A point-of-sale system lives and dies on its POS tools. Which is good news for Square as its software tools, for the most part, are nothing short of excellent. Their app allows developers to access the program's e-commerce API (application programming interface). It will let you embed Square's service to streamline plenty of operations. Like we said earlier, the company's application perfectly suits an array of different businesses. On top of the usual features, the app includes digital receipts and customer feedback via receipt, not the functions you'll be able to find in every other point-of-sale system. You can use the application with more than a single store. The interface keeps it simple, with a simple grid displaying your products as well as product categories on the left side of the screen and the sales receipt on the right one. Once you choose a particular product, the app brings up a pop-up window that allows you to select size, quantity, and many other item choices, taxes, and discounts (you can separate those between different customer group, like Friends or Family or Employee). One of the best things about Square's point-of-sale system is that it can be used in an offline mode. As you'd imagine, this is important for smaller vendors often stuck in venues where the Internet options are either spotty or downright non-existent. The app's dashboard makes it possible to access all sorts of reports, including but not limited to lists and charts illustrating sales summaries and different trends like year-over-year growth, employee sales, and other useful statistics. You'll be able to assign different roles to different levels of employees, with each role granted a flexible list of permissions. You can use the dashboard to track the inventory and check the number of items left in each store. There's also a stock alert feature that immediately notifies you when the inventory gets low. In short, Square point-of-sale system is one of the most flexible, versatile, and universally suitable application on the market today. Though it caters to all businesses, the company's software is perfect for smaller ones, like coffee shops, farmers' markets, and mobile stores. 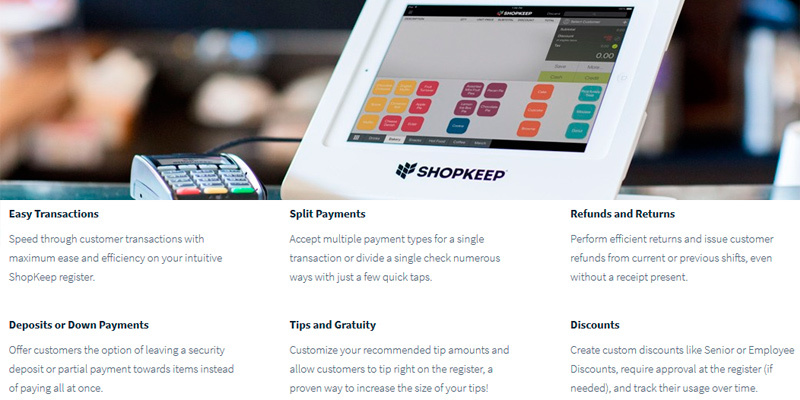 Shopkeep offers a really nice, affordable, and straightforward POS platform for smaller businesses. 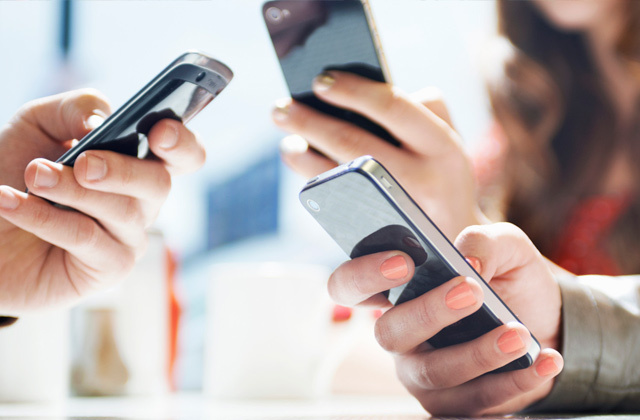 The company markets their app as a management system that's geared mostly toward 3 specific vertical segments: retail, quick-service restaurants, and full-service restaurants and bars. 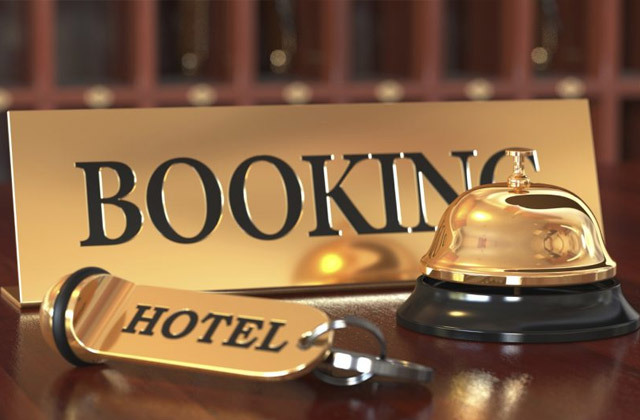 That means it isn't bad for people in the hospitality business but the app is more suited towards retail business and service business. It is great for small-time fast food establishments, hair salons, small stores, and anything in-between. One of the biggest appeals of Shopkeeper is the price. You pay just 69 bucks a month per register. Plus, each register after the third one will cost you just 29 bucks. These plans do include any limitations on inventory items, transactions, or the number of employees. 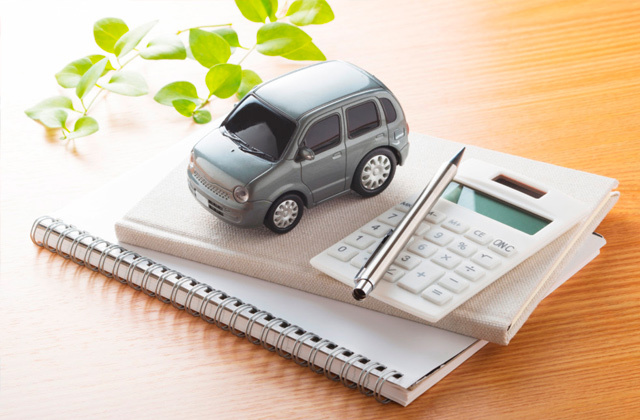 Having said that, though the initial price is really low, there are quite a few add-ons that plenty of shops would benefit from and these will cost you a little extra. The add-ons include but not limited to gift cards, different hardware protection plans, social network reputation management, Quickbooks synchronization, the list goes on. One of these add-ons will cost you somewhere between $15 to $30 a month, so you'll be wise to keep track of your transactions. That being said, you could make an argument that the add-ons are also one of the better parts of this POS software since you're able to customize and only pay for the services you want and need. The UI (user interface) doesn't differ that much from your usual deal, so we'll keep the description brief. 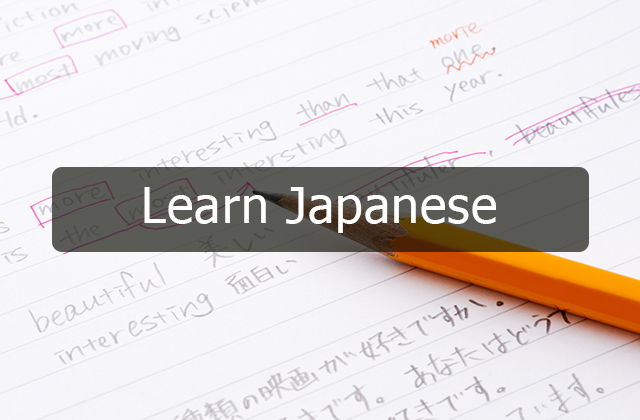 For the most part, it is really easy to navigate. The layout makes inventory control particularly easy. You can divide the latter into different categories and move that inventory of yours from one category to the other with the help of tabs you'll find at the bottom of your screen. The upper part of the screen is mostly reserved for product descriptions, prices, discounts, and total. Though it gives you all the necessary information, the interface doesn't feel bloated. Even the least experienced cashier will be able to figure it out in no time at all, wasting minimal time at that cash register. The General section provides you with customer's history, including returns, hardware setup, and gift cards. The manager section doesn't deviate from the norm, giving you or any authorized employee the ability to access shift reports, close a shift, access payout reports, and block transactions. 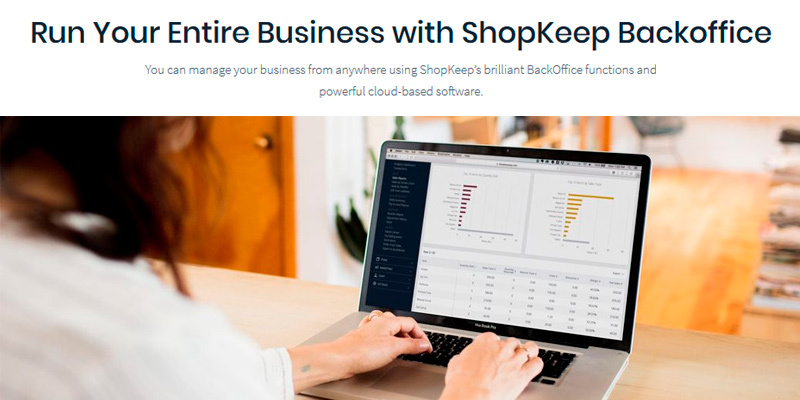 The company's cloud-based BackOffice solution has a very similar look to the register. The presentation is clean and simple, including the usual pull-out menu on the left-hand side. Plus, the user interface is mobile-friendly enough. The grid opens with what's colloquially known as the "Bird's-Eye View". It offers you a quick look at the sales, active inventory items, staff, customers, and the status of the register. From that menu, you or any other authorized individual will be able to control and utilize various tasks, including Analytics, Invoices, Capital, Inventory (under the "Items" title), Settings, Marketing, and Staff. One really nice thing about Shopkeeper is that, when you add a new item to the inventory, you're also able to add items with different variants (like colors and/or sizes). Plus, it doesn't limit the number of items you can add to the system. Without boring you any further with the details, Shopkeeper is a POS platform that puts you in charge of the whole operation. You're able to choose the features you want. You don't have to overpay for the ones you don't need. It has every necessary function in the book and a couple of tools and resources that you won't be able to find anywhere else. 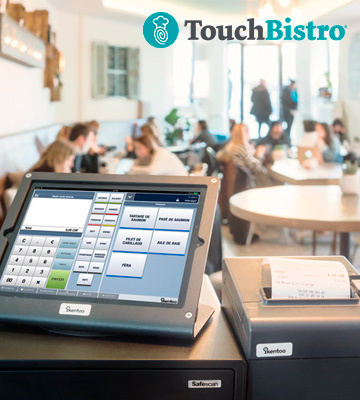 TouchBistro is all about helping food establishment owners manage their business in the most efficient and effortless manner possible. Now, it's not like it won't prove suitable at all for retail stores and other businesses, just that the tools and resources their software packs make it a particularly compelling choice for fine dining establishments, casual eateries, pubs, bars, cafes, and food trucks, the list goes on. Does it share an abundance of functions with its retail counterparts, including inventory tracking, reporting, and customer management resources? It sure does. But the aforementioned counterparts, dissimilar to this POS system, do not give you the same table management, order modifiers, and bill splitting tools. What makes this POS particularly interesting is that it isn't a purely web-based platform. Sure, with it come certain disadvantages, like the fact that you won't be able to run it on a single iPad or iPad mini since you'll need at least an iMac Mini or an iMac to act as a server. But an approach like that also carries with it an offline mode, so you'll be able to run your business even when the Internet goes down. The company offers 4 different plans. For 69 bucks per month, you'll be able to acquire the Solo plan that includes support for a single iPad. For $129 a month, you get the Dual plan with, surprisingly enough, twice the number of iPad support. The Team plan at $249 per month supports up to 5 iPads, while the Unlimited plan, again, shocker, supports an unlimited number of these POS devices, though it will cost you $399 a month. On the bright side, each and every single plan gives you the same selection of features, updates, and cloud reports, so you won't have to overpay for the features if you don't need the extra devices' support. On top of that, the company offers a loyalty program. 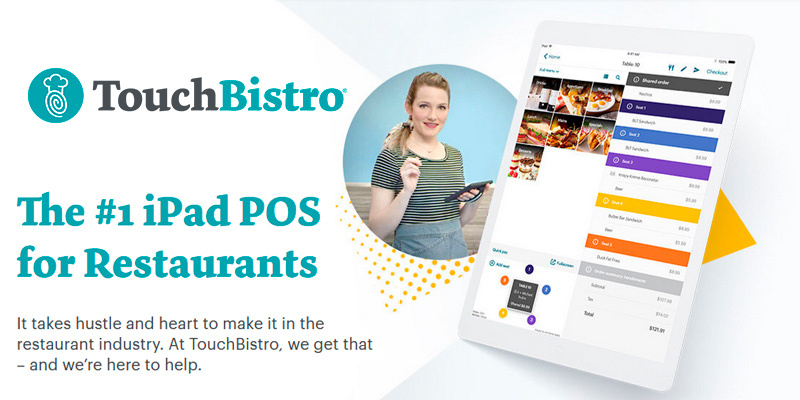 With this program, TouchBistro sends you the tools that will allow you to collect customer contact information, offer them branded gifts and loyalty cards, track their points, and offer all sorts of rewards. The more expensive loyalty plans include targeted email, text marketing, and a few other features. Now, as for this point-of-sale system's features, let's start with the basics. The Inventory Management tools feature an automated inventory tracking function that works on an ingredient level and low-stock alerts, so you'll never unknowingly run out of supplies. You also get cost-tracking tools that provide you with the profit margins on different menu items, so you'll be able to set the most profitable menu prices. The Customer Management section will let you create different accounts for your frequent customers and catering clients. 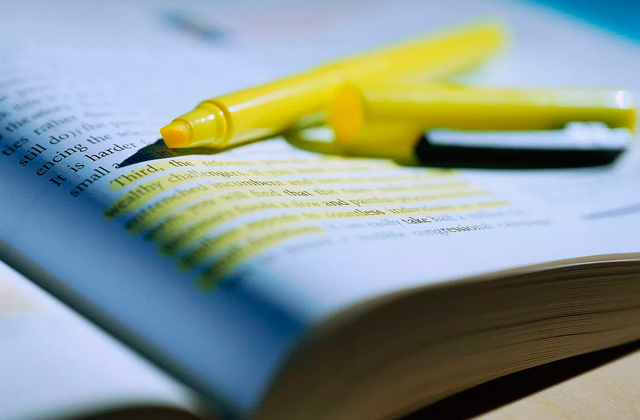 In that section, you'll find purchase histories, accounting information, as well as the ability to add notes based on customer preferences and/or allergies. The Employee Management menu allows you to assign roles like a server, manager, or chef to your employees, nothing we haven't seen before in general but it also gives you an in-app messenger for your employees to communicate and a tool that will let you run labor reports. The system reporting tools include 50 different reports that will help you analyze how well your business is performing in general and each branch of it in particular. 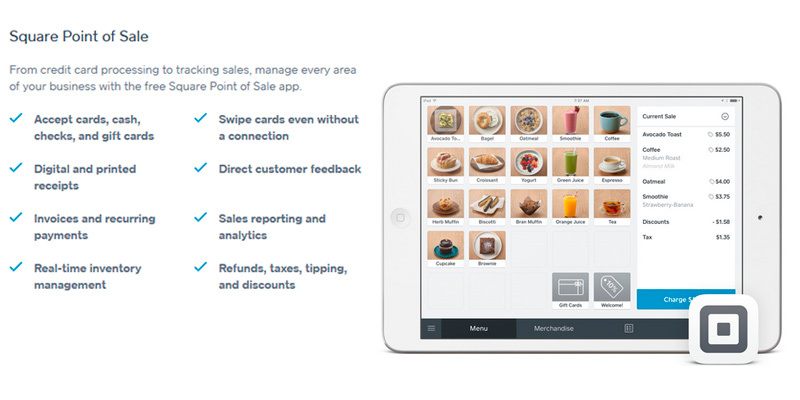 In conclusion, TouchBistro is one of the best POS systems for all types of food establishments. Its table and bar management tools are excellent. The intuitive interface makes it really easy to modify and customize orders. You can set up an automatic discount system for events. 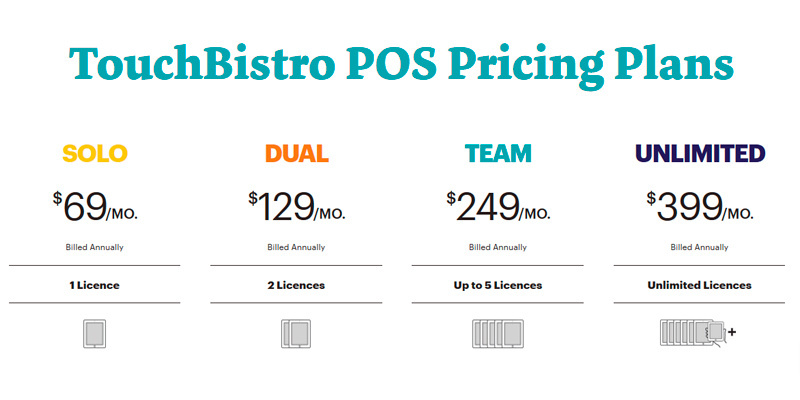 It will allow your employees to split any bill in a matter of seconds. 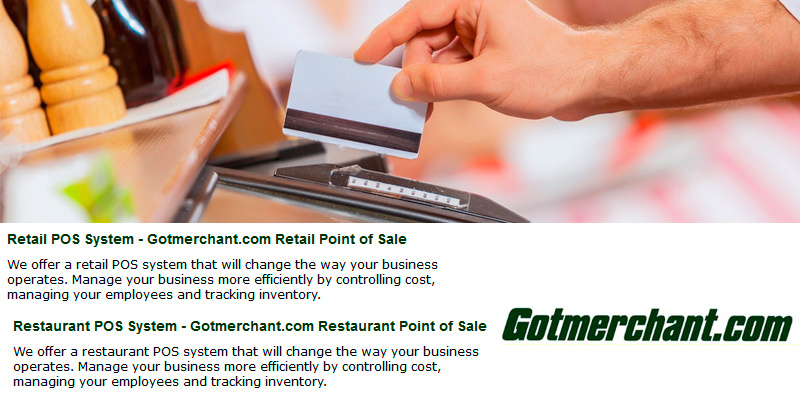 Some would describe Gotmerchant as a basic POS system. But we wouldn't go that far. Sure, in certain areas, it can feel a little rudimentary compared to its more expensive peers. But the platform covers a much wider audience and its list of services is nothing short of impressive. 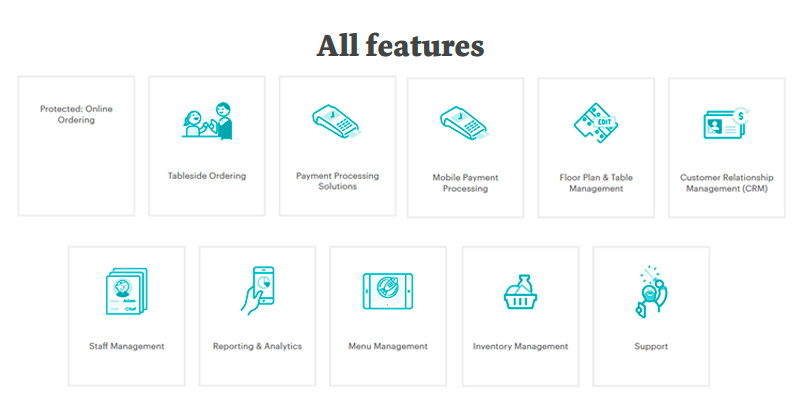 Unlike most systems on this list, Gotmerchant provides payment solutions not just for retail stores and food establishments but also for hospitality-based businesses and online stores. Though their management features are lacking in comparison to Square or Shopkeep, there's enough for your average to go around. Now, let's start small. First and foremost, the company's POS system offers credit and debit card processing. Naturally, the ability to accept card payments is crucial for any business these days. With Gotmerchant, you'll be able to accept all major brands of cards. Checks, especially paper ones, can be tricky. With this POS platform, they're about to become a lot less tricky. With the Standard Check Guarantee, you won't need any extra equipment. All you'll have to do is key in the check information on the POS terminal and wait for your approval code. 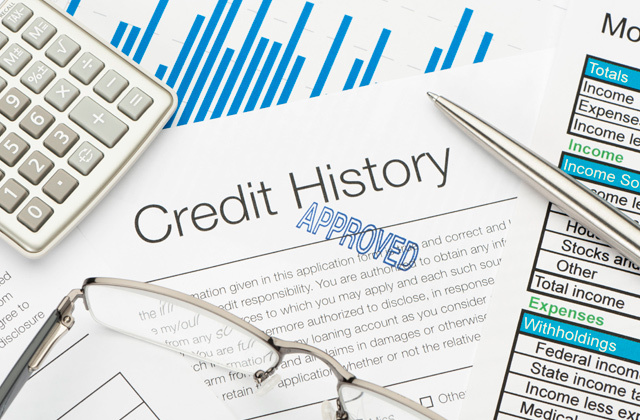 Once approved, the funds are guaranteed, meaning you can safely deposit the check at the local bank. Plus, you'll be able to mail returned checks to the company behind it for reimbursement. 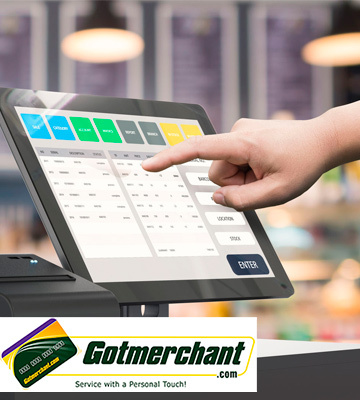 On top of the aforementioned Standard Check Guarantee, GotMerchant offers you the Check Guarantee and Conversion (also known as the Rapid Check) option. With this option, you will need a scanner. But you also get to benefit from a quicker transaction and you won't have to visit the bank, which is always a win in our book. The scanner, as one would imagine, scans the check for you and processes the transaction in an electronic manner. Just like with the standard method, the funds are guaranteed but, again, you won't have to pay your local bank a visit as the system will automatically deposit them within 2 business days. Gift cards are the oldest trick in the book. But that's because, to this day, these cards prove effective. They seldom fail to boost your sales, expand your business influence, and track your customers' spending habits and trends. With GotMerchant, you'll be able to make designed gift cards, as well as accessories such as envelopes, displays, and decals to go with those cards. Selling products online isn't as easy as it looks. Mostly because you need a payment gateway that makes it possible for you to accept credit cards. 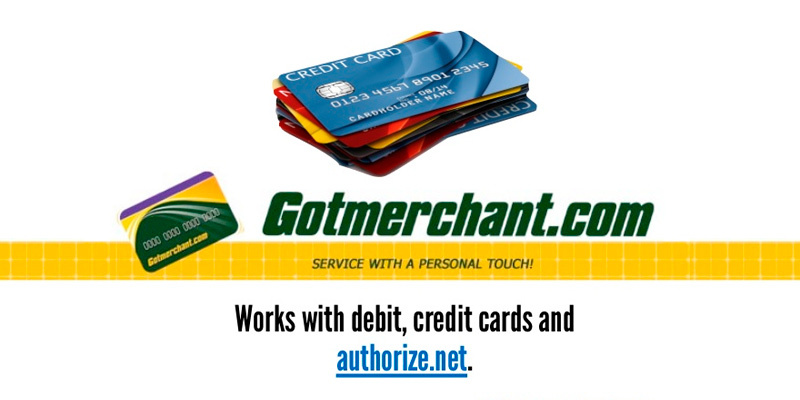 The people behind GotMerchant don't do it themselves but the company is a reseller of the payment gateway Authorize.net, one of the most popular and reliable gateway services. It integrates perfectly well with the majority of online stores and shopping carts. 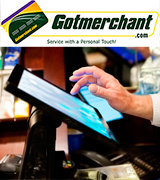 The service makes the transaction happen, while Gotmerchant does the processing. By the way, Authorize.net also provides a virtual terminal that you can use to take payments over your phone. It allows you to manually enter the transaction at any given time. As a nice little bonus, this POS system is compatible with Yahoo's online stores. The company also offers cash advances. They say that they can front your business up to $600,000. 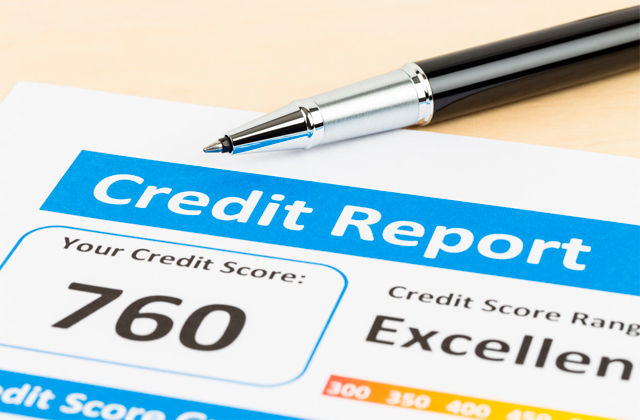 Naturally, you repay the debt with deductions taken from your future sales. 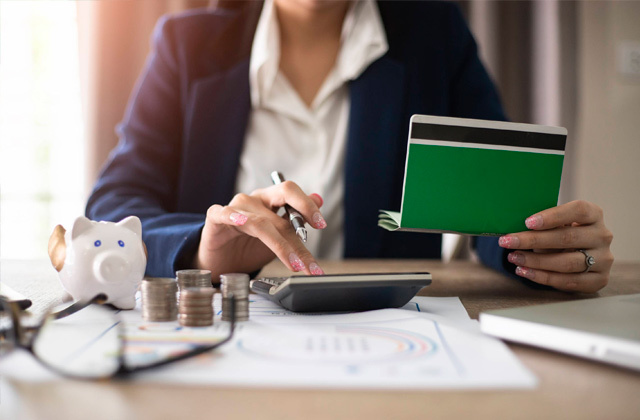 Of course, try to make sure first that you understand the risks that are associated with cash advances before you accept one. Long story short, with Gotmerchant, you should be able to make your business run more efficiently than ever, doesn't matter the type of products you sell or the services that you offer. The company's POS solutions give you the necessary functionality. Plus, they offer solid hardware to go with the software. 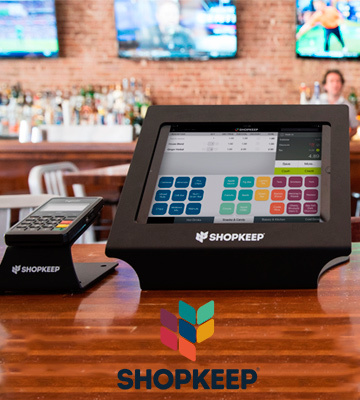 A point-of-sale system is a combination of hardware and software that lets different business owners receive transactions and simplifies a good chunk of the day-to-day business operations. Nowadays, a system like that is one of the most important and biggest components of any business, a transactional/organizational hub where every part of the business merges. Though plenty of these companies offer both software and hardware solutions, in this review, we'll focus more on the software. Generally speaking, it falls under one of the two categories: on-premise and cloud-based. The former is a traditional software model where you pay for a license and, in return, receive an application that allows you to process credit cards, create reports, track inventory, ring up sales, manage employee access, utilize a discount system, offer returns, store credit, track cash, and perform a whole lot of other functions depending on the software and the company behind it. The cloud-based does the same but online, storing the information on the cloud server. Simply put, a point-of-sale system is a must-have for any business these days, no matter how small. Want to make your business run even more efficiently? 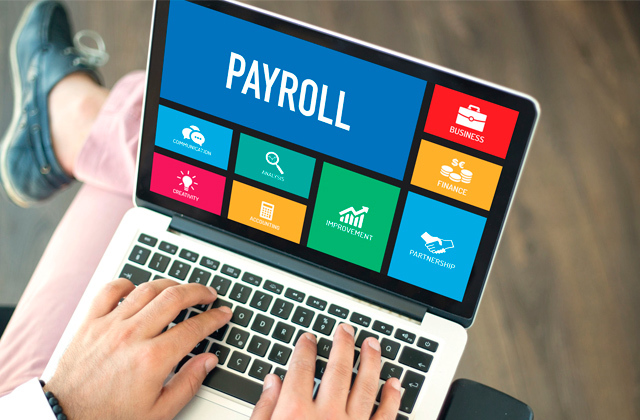 Try one of these project management software and payroll services.